Week seven was by far one of the most memorable weeks on our road trip. I can’t believe how much we saw in one week! Oodles of wildlife, gorgeous sunrises, and even the Northern Lights — all the way down in Yellowstone National Park (they’re not usually visible so far south). Somehow we managed to visit FOUR national parks all in one week. And despite late night Milky Way photo sessions, we managed to wake up before dawn TWICE to witness the gorgeous sunrises Yellowstone has to offer. If you’ve never seen Yellowstone yourself, add it to your bucket list NOW. And in the meantime, you can drool a bit over these photos! Note: I’m still catching up on our weekly road trip re-caps! This one covers June 20-27. 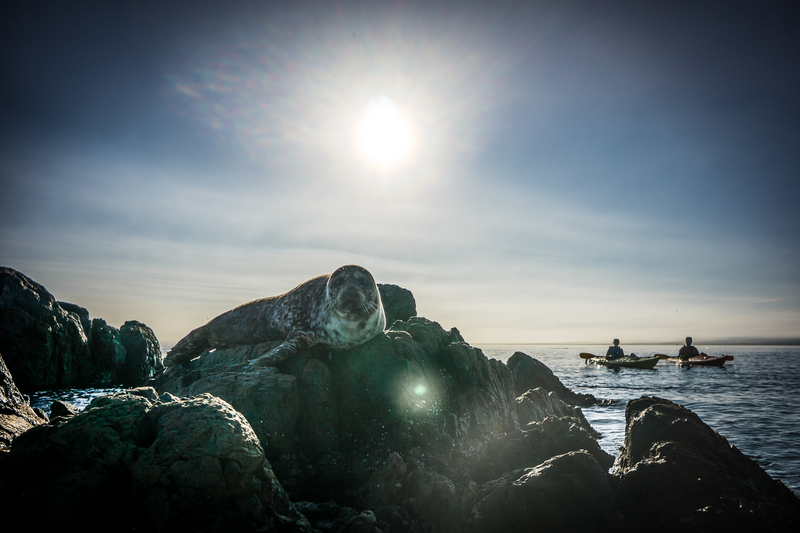 On our kayaking excursion in Victoria, British Columbia, Canada, a harbor seal sits atop a rock at the Brothers Islands on October 6, 2014.